International football returns to Asia and Africa this week as we look forward to another round of World Cup qualifiers in the AFC. With 30 matches to be squeezed in over two days, Martin Lowe looks at the key talking points to focus on ahead of Thursday’s match day. All 15 ties taking place on Thursday will pit either of the top two seeds at home against one of the two bottom seeds in the group. Of course, on paper (using FIFA’s debatable rankings) we can expect plenty of home wins. In practice after a couple of misshapen opening gambits for the bigger seeded nations, some teams might be quaking in their boots at the prospect of an emphatic rebound. 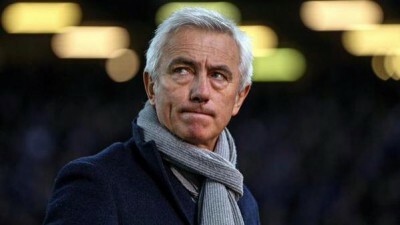 After months of speculation Saudi Arabia finally announced their new coach as Dutchman Bert van Marwijk. We had been promised a big name after a spectacularly poor Asian Cup campaign back in January, and despite being linked with Marcelo Bielsa and Herve Renard, the drawn out appointment of a World Cup finalist manager could prove a master stroke. The question marks are there from the beginning however. Van Marwijk takes over the post officially three days off back-to-back World Cup qualifiers after 18 months in the management wilderness. Plus the Saudi Football Federation have hardly put their whole support behind the Dutchman, tying him to a solitary year’s contract, assumingly ready to make a quick change if they don’t make it through to Round 3. He’s really got it all to do given he’ll only meet a squad picked by the Federation a couple of days prior to their crunch tie with Timor-Leste. The opposition, of course, should ease van Marwijk into the job, as Saudi Arabian fans expect a simple 6 points from this week’s two matches (second match away in Malaysia) ahead of October’s billed group decider against UAE. While the fans are forgiven for getting carried away, the team will be well aware of the shocks that have already taken place this year. When Gary White was questioned about his aims in the qualifying group stage earlier this year, he quite refreshingly responded that his side would win their first two matches (incidentally their first ever WCQ wins) to set them up perfectly for the rest of the group. Few believed in his confidence. However, as we go into GW3, Guam sit top of the Group D section with an unblemished record. Worthy praise has rolled in subsequently from across the globe promoting Guam as the ideal side to benefit from the change in qualifying format and from those few of FIFA’s actual impact on smaller nation football. Guam’s victory over India (a country with over a billion more inhabitants) was a ground breaking statement and illustrated not just the tactics and preparations of White in the dugout but that of the players on the pitch. The recruitment of AJ Delagarza looks to have been an inspired one as he controlled the defence, while further up field Jason Cunliffe inspired a team with a physically motivated pair of performances alongside 21-year-old Travis Nicklaw who secured the victory over India. Crucially, this side is primarily hard to beat, and while on the face of it Guam’s home stadium in Hagatna may look appealing on the eye, the atmosphere created will have no doubt surprised their visitors. Now, looking back on White’s comments, nothing was made of their third match, the rather simple task of travelling to Tehran to face AFC’s top nation Iran. A side full of worldly recognisable faces, in a stadium likely to hold half of the whole population of Guam, the task is going to be obviously an uphill one. This is what we were hoping for though from this qualification format, a small nation experiencing the level of a so called bigger nation, with a tangible outside chance of pushing them hard. Given Iran’s draw with Turkmenistan, days after Guam beat the same opponents, maybe it’ll be closer than we all initially think. Seven months ago Iraqi football fans were triumphant in their dogged semi-final achievements at the Asian Cup. After years of turmoil surely this prompted stabilisation to move forward with a talented young squad with much to offer? Sadly this hasn’t been the case. Even though Iraq haven’t played a competitive match since their defeat to Korea Republic in January, managers have come and gone sometimes within a blinking of an eye, while the Iraqi FA continue to live up to the catastrophic mess they’ve previously put forward of themselves. Of course, like times before this recent change in management, now was supposed to be different as the incoming Bosnian and former Qatar boss Dzemal Hadziabdic was announced with a long term impression in mind, but within days of his arrival in the country he had left, turning down the job due to disagreements within the terms of his contract. Another poorly considered appointment – let’s face it – but another example of such disorganisation by the FA to not iron out the fine print in the contract before he had even set foot in the country. The new incumbent Yahya Alwan, the former U23 coach who has now been promoted, shouldn’t have the same contractual disputes given his domestic, low profile and assumed less restrictive demands. He now has the crucial job at hand to steady a ship that has been rocking for some time and to get some vital points on the board. Despite the chaos they’ve found themselves in, Iraq have a favourable set of circumstances to return to; Indonesia’s expulsion rids them of a tricky group opponent, while matches such as their opener against Chinese Taipei will be included in any head-to-heads that may occur in the future, due to their shortened group. The pressure however, assumingly they do dispatch Chinese Taipei in the coming days (who knows with Iraq), is the crucial, initially billed group-deciding-clash with Thailand on Tuesday. The Thais stand firm at the top of the pile with two wins from two, Iraq will join them there with back to back wins of their own over the coming week. All eyes will be on the coach, but with so much fear surrounding the role and relying on the FA’s lack of patience we could be well placed to see some early and potentially decisive implications from the first match. Six months into his tenure, Vahid Halilhodzic has offered hope that things could change, followed by the predictability of Japan’s deficiencies. Storming friendly victories are one thing, but it has been a different story for a while now when it comes to competition action. Their ineptitude to break down opposition that sit back and play on the counter is starting to become a worrying trend. From Zaccheroni’s World Cup car crash, to Aguirre’s doomed Asian Cup effort against UAE, through to Halilhodzic’s frustrating draw against Singapore earlier this summer. Japan’s predictability in build up play seems one dimensional, an aspect that will be critically challenged in the upcoming double of Cambodia and crucially Afghaistan. The East Asian Cup experimentation predictably was met with indifference given its “friendly” status, a starkly different outcome from the last tournament which they were victorious in. The odd glimmer of hope did come through from the meagre fortnight however, as Wataru Endo and Yuki Muto impressed. While the former received a return call up, Muto suffered from the return of the usual European based suspects. Yuki’s namesake Yoshinori remains on everybody’s lips, promoted even further by his first two goals since moving to Europe at the weekend. His direct competition in the national squad, being Takashi Usami may have been first choice at the start of qualifying, but for an absent performance in China at the EAC coupled with Japan’s penchant for a European starlet will no doubt give Muto his chance to sparkle and inspire Halilhodzic’s first competitive win against Cambodia.